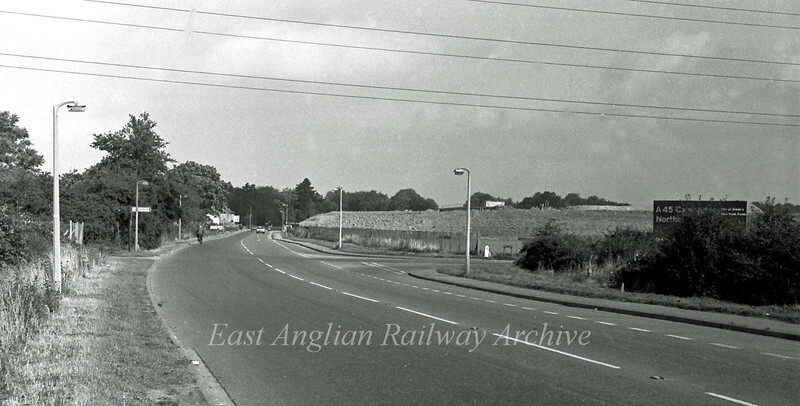 The old route of the B1049 Cambridge to Histon Road on 11th September 1977. Compare this to the fourth photo in this section. The field to the right is now filled with earthworks and the bank of the westbound slip road can be seen. A blue sign has gone up to the right advertising the construction of the A45 Cambridge Northern Bypass.